The club season is over and provided plenty of surprises and interesting takeaways. We’ve spent this week honoring and celebrating the division’s top individuals this year. These awards are decided by a team of editors, reporters, and analysts, who look at a number of factors. Not everyone agrees, and wth so much talent in the division, there are invariably players you could make a case for who get left off. We asked our staff for not only their top snubs, but also who would make up their Third Team. On top of that, we asked for some other ways to look back at the season’s best. For the sake of transparency, Jessie Grignon Tomas was not on my ballot for first or second team all-club. Brute Squad already had three members on my teams and four all-club representatives felt like it was too many for a team that wound up being the second best in the division. But, in my mind, Grignon Tomas was one of the defining players of the season. She deserves praise, even if she didn’t get any official awards recognition. 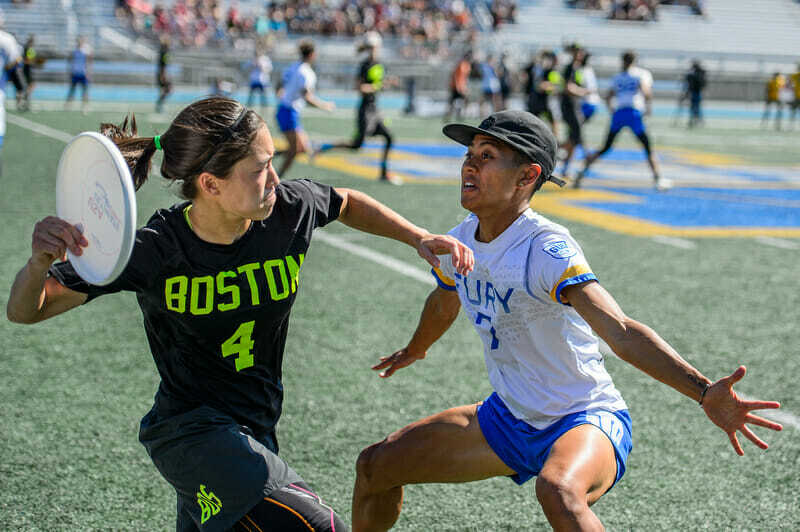 Comments on "Ultiworld All-Club 2018: Superlatives and Snubs (Women’s), Presented by Greenbackr"